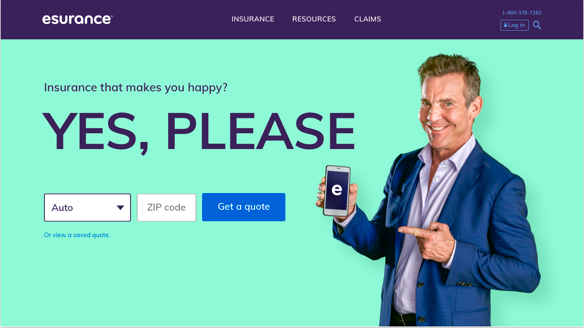 Esurance.com gives customers an opportunity to get an insurance quote and to purchase or access their policy online. It provides detailed information about products and policyholder apps as well as advice relevant to customers’ interactions with insurance. Consumers find insurance confusing and expensive. 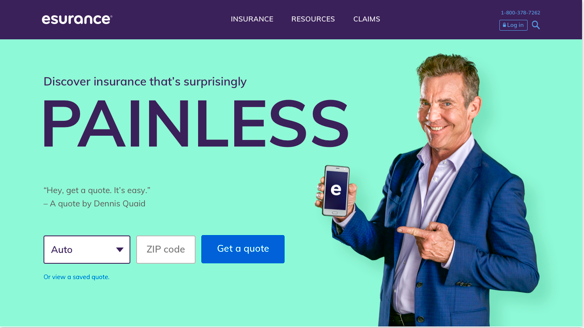 Esurance website is cluttered and non-relatable. To address customers’ pain points it has to become extroverted, simple and approachable. Increase quote initiation rate and customer retention by simplifying the look, UX, architecture and voice. Support the bold, self-confident and savvy brand perception. Set up users’ expectations for an easy and straightforward experience. Deliver information in a concise and understandable way. Led Visual, UX and architecture redesign and ongoing optimization. Contributed hands-on work at high-level design milestones, defining page layouts and UI style guides. Managed a team of 4 designers. Coordinated cross-team collaboration to assure consistency of the customer journey. We shaped the overall redesign direction by testing 3 product page prototypes against the control version. Each represented a distinct design style, colors, font, imagery and messaging and was focused on a different aspect of brand personality: the warm/friendly, the modern/clean, and the bold/charismatic. All 3 new designs outscored the control version with the modern and clean winning in a quantitative concept test. The elements that worked for the user were pastel color palette, increased use of iconography and straightforward, benefit-focused headlines. Since we had no clear read on the photography style we conducted additional A/B testing and identified the version that got the highest CTR. With the users’ preferences in mind we defined UI elements, a color palette, iconography and a font hierarchy and created a library of patterns and templates. The redesigned Esurance home and product pages increased the CTR by several percent. Users found the interface and interactions to be clearer and more intuitive. We continued to conduct A/B and multivariate testing to optimize the performance. Below is a recent home page multivariate test involving copy and imagery iterations.